Kerbey Altmann has been a Trustee since 2014. He and his wife, Stephanie, have lived in Burlingame for 22 years, after moving from the East Coast in 1990 and stopping in San Francisco for five years. He works as a senior Solution Architect for a medium size company working in the telecom space. He was an AYSO coach for eight years, a referee for 13 years, and volunteered at his sons' schools in many capacities. 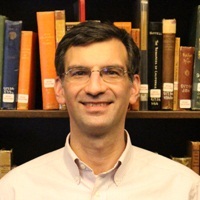 Andy Blanco was appointed to the Library Board of Trustees in 2016. 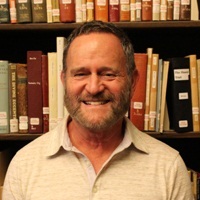 He leads partner training at Box, Inc., and has lived in Burlingame with his wife and son since 2014. Previously, he worked with the Learning Games Network, a nonprofit spinoff of the MIT Education Arcade dedicated to innovation in the design and use of educational computer games. Andy began his career serving as an aircraft maintenance officer in the United States Air Force. 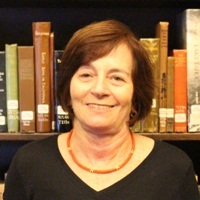 Randi Murray was appointed as a Library Trustee in 2015. She is a retired literary agent and editorial consultant who moved to the Bay area in 1987. Since then she has had various volunteer positions at the Hillsborough schools, served on the Hillsborough Financial Advisory Committee and been a member of the UC Berkeley Library Advisory Board. She has also co-chaired a fundraising effort at UCSF for brain tumor research and caregiver support. Mike Nagler has been a Trustee since 2014. 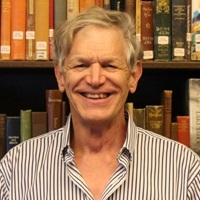 He also serves on the Library Foundation Board and manages the library’s bookstore at the main branch. He is an instructor of Humanities in the San Mateo Community College District. He and his wife JoAnneh have lived in Burlingame for thirty years. He is the editor of two collections of short stories and she has written The Debt-Free Spending Plan and the 2016 release, How To Be An Artist Without Losing Your Mind, Your Shirt, Or Your Creative Compass. 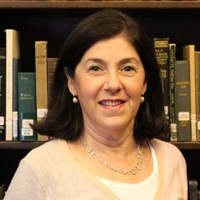 Lisa Rosenthal was appointed to the Library Board of Trustees in 2010. She is currently in her second term on the board. Lisa is also a member of the Burlingame Library Foundation Advisory Board and the Burlingame Library Foundation Book and Author Luncheon Committee. She served on the Our Library Our Future Capital Campaign committee for the recent renovation of the library. Before her appointment to the Library Board of Trustees she served on the Burlingame Library Foundation board and the Burlingame School District Board of Trustees. She has lived in Burlingame with her husband for 36 years and has two grown daughters. In her professional life, Lisa is a freelance education journalist. She writes a monthly newsletter for the San Mateo County Office of Education and is a contributor to the School Library Journal. She has written for the Bill & Melinda Gates Foundation, the Harvard Education Letter, GreatSchools.org, Education.com and BurlingamePatch.com.